Disclosure: The writer was given the opportunity to watch The Dovekeepers prior to its airing on CBS. The strength and resilience of women is known but often not celebrated. Women who have determination to act on their passion, to voice their opinion and to stand tall on their beliefs can be ridiculed or persecuted. In the CBS television event, The Dovekeepers, the beloved novel about determined women, reminds all of us that strength and courage should be celebrated. The Dovekeepers, originally a book by Alice Hoffman, shares the store of the Roman assault on Masada and the women who bravely stand tall to save the truth for history. Carefully woven together, the characters of Yael, Aziza and Shirah transcend traditional women's roles. These characters balance their fortitude with the enormous passion for the men in their lives. Giving into their love doesn't make them weak, rather their clear vision of life allows them to survive where others falter. The CBS limited engagement event, airing March 31 and April 1, transports viewers into the ancient world. The story is shared as Yael and Shirah share recount their stories for history. While others took easier paths, these two women refused to succumb to the pressures of others. In the end, the women's resilience allowed their story, and some secrets, to be shared as an example for all women. While the book, The Dovekeepers, is a beautifully written piece of prose, the CBS adaptation will appease fans of the novel. The two day event balances the strength of characters with the majestic setting. Even those who are unfamiliar with the novel will be swept away in the grandeur and compelling story. The Dovekeepers will air on CBS Tuesday, March 31 and Wednesday, April 1. Please check local listings for exact times. Roma Downey and multiple Emmy Award winner Mark Burnett (SURVIVOR, “The Voice”), the production team behind the Emmy-nominated 10-hour miniseries “The Bible,” are bringing this story to CBS. 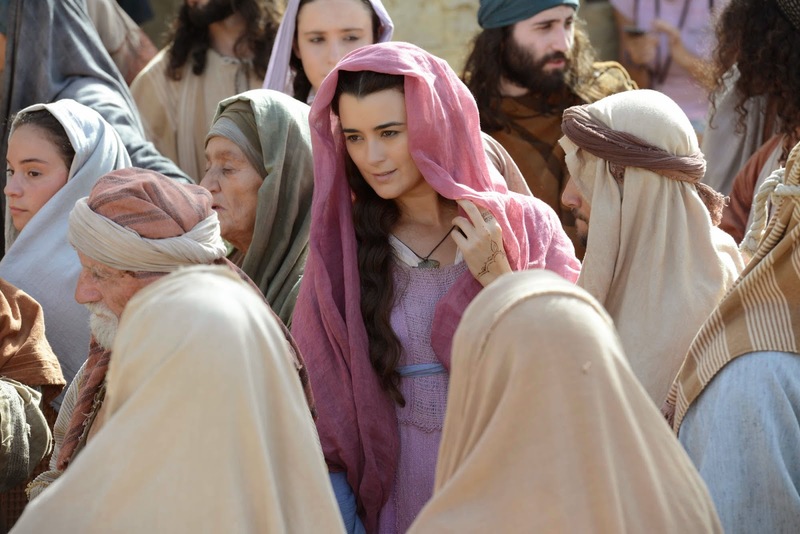 The Dovekeepers is the first project from CBS Entertainment and CBS Television Studios’ Limited Series and Event Programming unit. It is a co-production between CBS Television Studios and LightWorkers Media, a division of United Artists Media Group. The Dovekeepers written by Alice Hoffman is available at bookstores and online. Disclosure: This post is sponsored by the Role Mommy Writer's Network. This looks like a great historical drama, and not the kind where the story mostly focuses on the actions of the men. Thank you. I liked the story very much.